This adventure is the winner of the Mystery Map Adventure Design Competition. There were many great submissions to the competition, but Jobe Bittman’s stood out above them all. 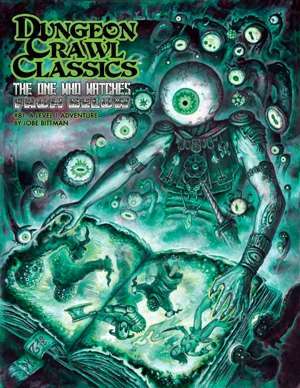 This adventure has a strong Appendix N theme, unique encounters that your players will remember for a long time, many highly visual scenes that will stand out in your players’ minds, and some terrific twists and turns. It also features one of the most creative player handouts you have ever seen. Prepare for a very fun time. We think you’ll enjoy this adventure as much as we did.